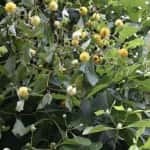 The incorporation of preventive strategies related to the development of a tolerance to the effects of Kratom is imperative to garner all the positive benefits from using this herb. A Kratom Tolerance makes your body less sensitive to Kratom, which prompts the use of larger doses to achieve the same results. An increase in dosage quantities corresponds to increases in the price per dose. Unchecked Kratom Tolerance will lead to the development of withdrawal symptoms in addition to other negative side effects. Users can avoid Kratom Tolerance through dosage adjustments and usage of variant strains of Mitragyna Speciosa. Kratom users are familiar with Stagnant Strain Syndrome, which is a phrase that was verbally created by a group on the Kratom Connoisseurs forum. This syndrome indicates the effects that evolve from the extended usage of a single Kratom strain or a correspondent blend. Individual plant strains have unique active ingredients dissimilar to other strains. The extended use of one strain limits exposure to other alkaloid combinations. This formulates a tolerance to the effectiveness of Kratom in the body. Tolerance to a specific variety of Mitragyna Speciosa is referenced as Stagnant Strain Syndrome. There are users experiencing this syndrome with two days of usage, while others use the same strain for weeks with no development of a tolerance. A key sign that you are developing a tolerance is that it will take larger Kratom leaf or extract dosages, than you intended, to attain the same effects. Avoidance of Stagnant Strain Syndrome is possible through the cycling your selections of Kratom varieties to enable extensive exposure to various alkaloid blends. 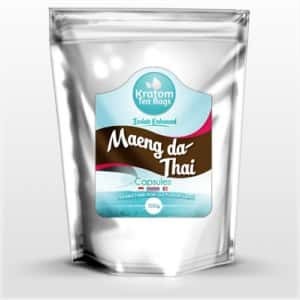 For illustration purposes, exclusive use of Maeng Da, which is the most potent form of Kratom, will build a tolerance after a week. It will require more Maeng Da to achieve the same or moderate results. A better option is to cycle Maeng Da with variant strains such as a Malay, Vietnam Kratom, or White Vein Borneo. Another method entails integrating Kratom fusions or blends simultaneously with various other strains. Some users formulate combinations of one sedating strain, such as a Red Thai or Red Bali, with the energizing strain of Maeng Da for balanced effects. It is good advice to have three or four assorted strains available for random use, which will prevent the development of brain receptor sensitivities to specific strains of Kratom. This form of experimentation is physiologically useful, and users will gain significantly more benefits. 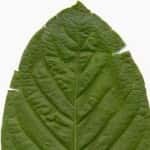 There are various techniques to prevent Kratom tolerance. In some cases if you feel like a tolerance is building, it may be necessary to take a break for up to three to seven days to reset the tolerance level. This may be something you want to do once every month to ensure your opioid receptors are not becoming desensitized or down-graded. 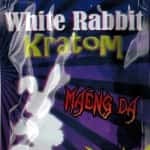 Cross-tolerance can build quickly if you are mixing your use of Kratom with other opiate drugs. In this case, a longer Kratom break may be necessary. It is advisable for new users to exclude the use of extract products, and to use only crushed leaves or powders. 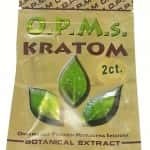 This is sound advice since Kratom extracts have a more potent alkaloid concentration, along with the provision of a single strain at any given time. The consumption of that one strain increases the likelihood of Stagnant Strain Syndrome occurrences or a tolerance. 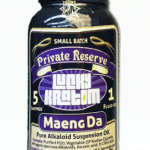 An exceptional option is to devise and adhere to a Kratom dosage schedule. Never exceed five days in a week when taking Kratom, and ingest the lowest possible dose to achieve the desired effects. It is crucial for new users to avoid Kratom potentiators, as they magnify the effects of Kratom for a definite tolerance buildup in the body.